Rooms from $206.10 per night. 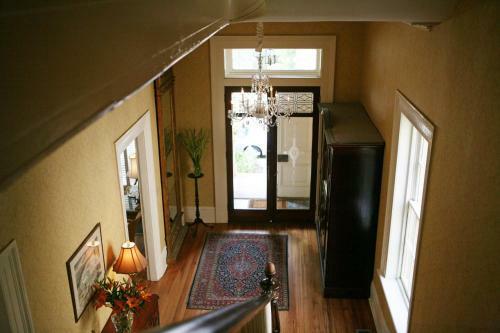 Description This Savannah, Georgia bed and breakfast has free internet access and non-smoking guest rooms. Breakfast-in-bed afternoon tea and cocktails are all offered at the upscale Gastonian where each unique rooms has a fireplace and free Wi-Fi. 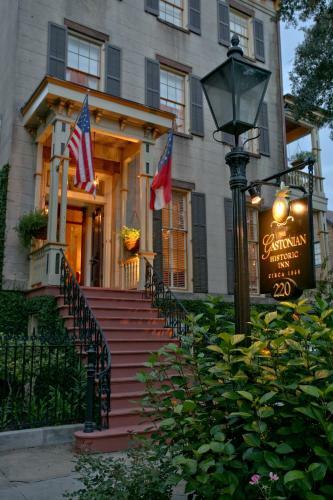 The Gastonian is comprised of two side-by-side historic mansions that date from 1868 and features 17 rooms and suites. 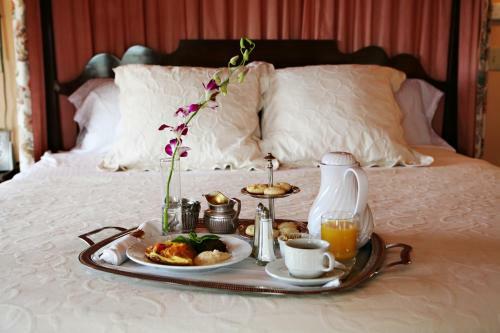 All accommodations offer fireplaces bathrobes upscale bedding and antique decor. 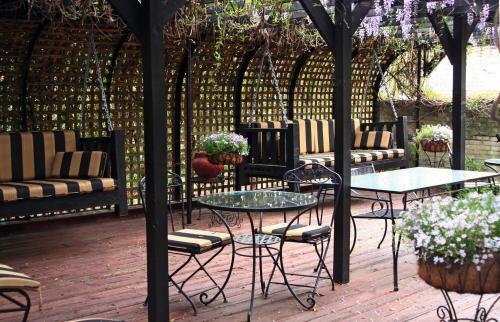 High-tech amenities include flat-panel TVs DVD players CD players and free Wi-Fi. Some rooms have antique claw-footed baths and others have jetted-tubs. Guests can take part in the hotel's family-style breakfast or can request the meal be delivered to their room via silver tray service. 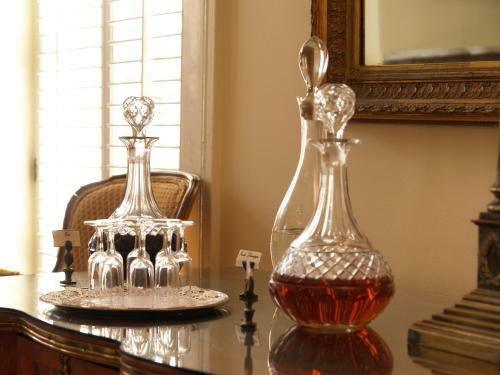 Afternoon tea wine and hors d'oeuvres are also part of the package. 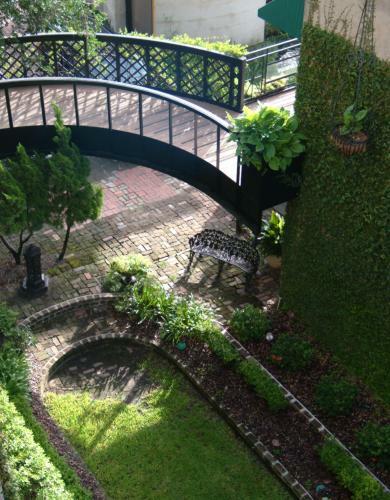 There's a 24-hour concierge in-house and parking is free. 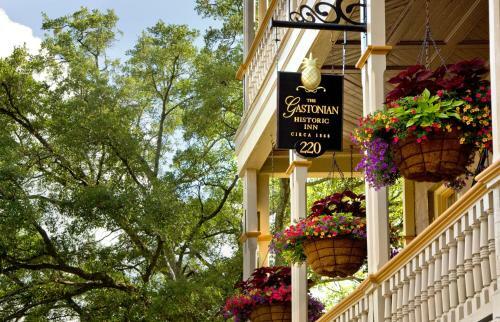 The Gastonian is a block from Forsyth Park in the heart of historic downtown Savannah. 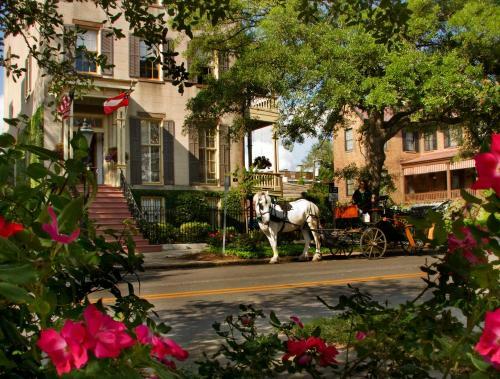 It's within walking distance of the city's historic squares as well as the riverfront. Savannah/Hilton Head international Airport is 10 miles away. 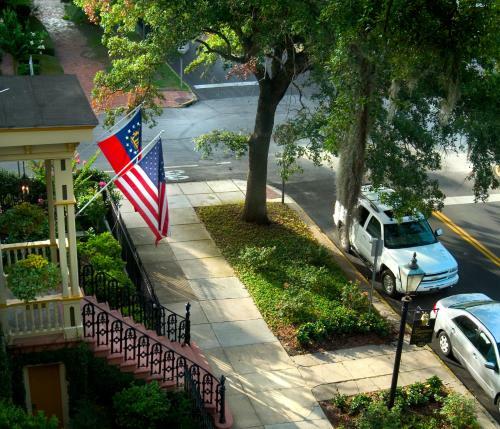 Add The Gastonian-adult Only to your free online travel itinerary.